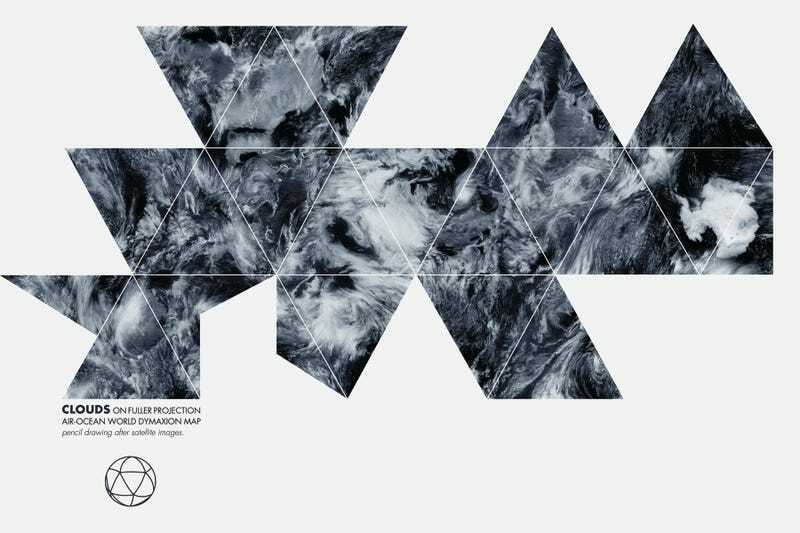 The world has changed in countless ways since Buckminster Fuller invented the Dymaxion map in 1943. Wars have come and gone, populations have changed, and entire generations have passed. But Bucky's map endures, thanks to its endless adaptability—and to prove it, the Buckminster Fuller Institute recently invited the public to help reinvent the map for 2013. Today, we get a glimpse at the best entries. Why was the Dymaxion map so revolutionary in the first place? Because cartographers spent centuries working towards a single, universal world map, striving to set up a standard that every country would go by. Fuller, on the other hand, did something radical: He imagined a map that could be rejiggered depending on what the user might want to visualize. For example, you can rearrange the pieces to show political affiliations. Or the flow of air over the Earth. Or nearly any other piece of geospatial information. It was an entirely new way to see how nations and landmasses are related. Flumen Luna by Hector Tarrido-Picart, applies Fuller's tessellated map to an entirely different celestial body: The moon. Jonathan Robert Maj mapped the travels of humpback whales—which travel extraordinary distances on a yearly basis—to create this iteration of the map. "Most of us are unaware of the silent, massive 'traffic' simmering underneath the surface," he explains. Peep our previous coverage of the competition here, and be sure to drop your contributions in the comments.